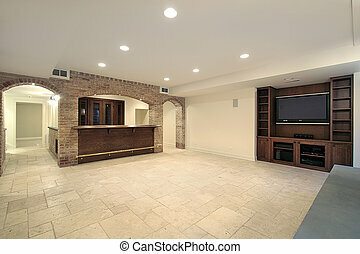 Basement with fireplace and bar. 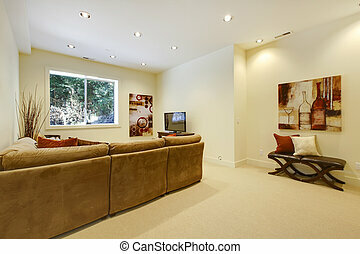 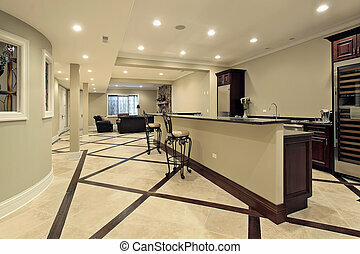 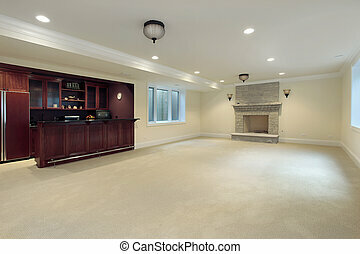 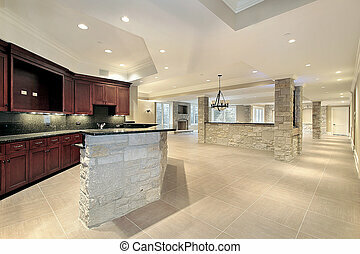 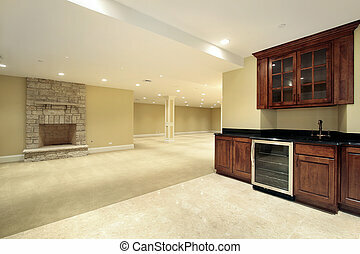 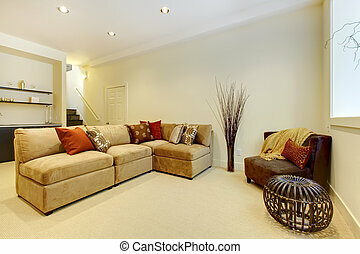 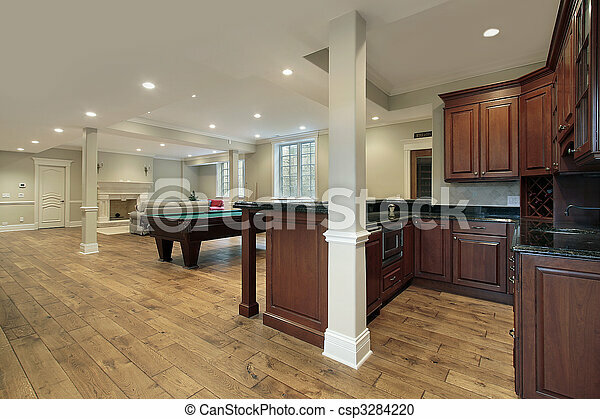 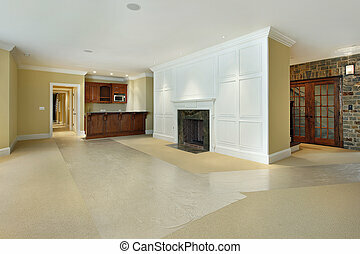 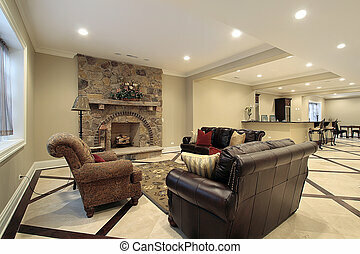 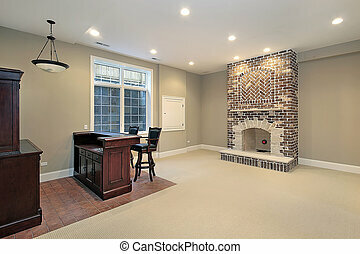 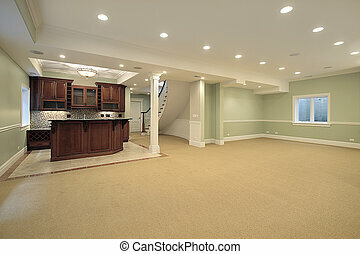 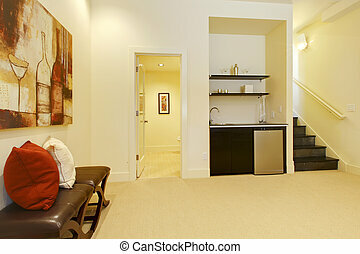 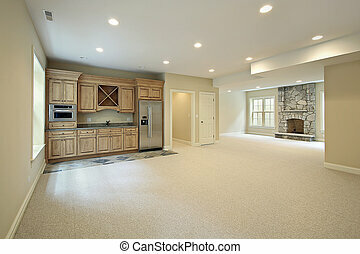 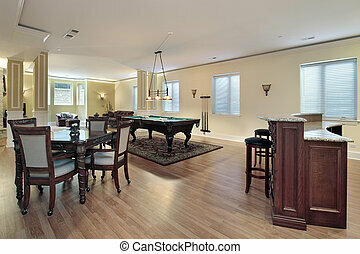 Basement in new construction home with bar and fireplace. 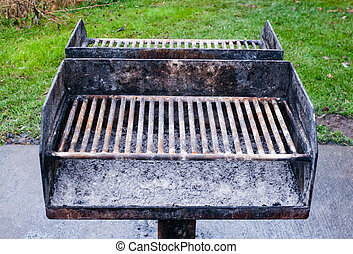 Dirty old metal barbecue grills on cement base and against grass, with remains of gray ashes.